Mastihari (Μαστιχαρι) is a coastal village on the north coast of the island of Kos in the Dodecanese . Mastichari is a booming resort, but less developed than the stations ’all-inclusive’ of the north coast, but it is also quieter and less expensive. The resort has a sandy beach, quite short but broad, extending to the west side of the east, there is another less pleasant to Troulos beach, 1.5 km. 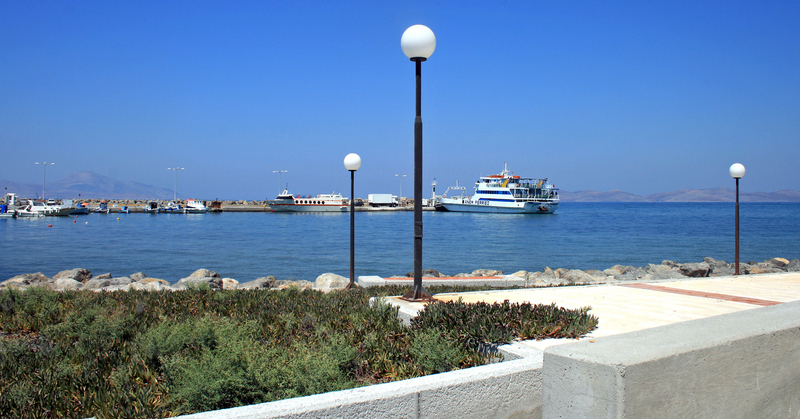 Mastihari also has a port with frequent crossings to the neighboring island of Kalymnos. 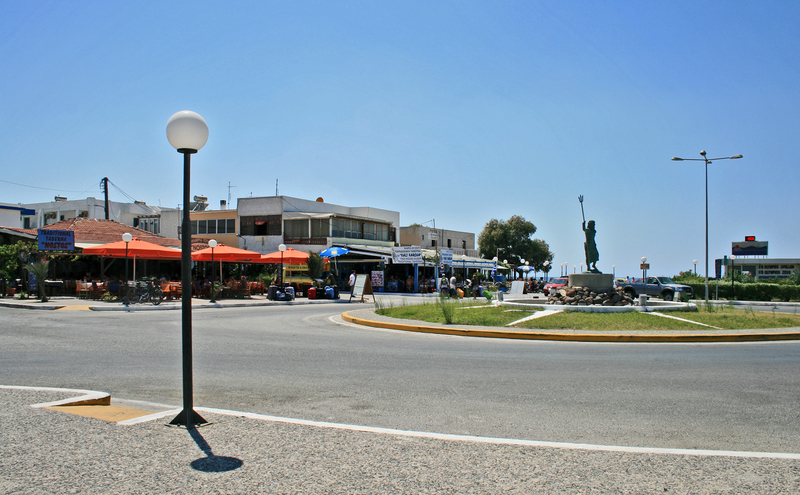 Mastichari is located 20 km west of the capital of the island, Kos , but only 5 km from the airport of the island, located near Antimahia . The village is also in this port town traditional inside Antimahia, which is 3 or 4 miles to the south. The unique cultural attraction Mastihari is the Basilica of St. John the Evangelist (Agios Theologos Ionnis) located 1.5 km west of the village, the church is located near the sea, to the end of the beach to the west. This fifth-century Christian basilica has a floor covered with a beautiful mosaic of approximately 400 m², fairly well preserved, representing geometric shapes, animals and plants (partly covered with gravel guard). The church has a single nave with two aisles separated from the nave by two rows of columns, tripartite narthex to the west, a semi-circular apse to the east, and a baptistery attached to the north-east side Block. This is one of the countless churches St. John on the island of Kos, dedicated to St. John the Evangelist who spent yet one night on the island. Mastihari is also a port for small ferries which go back and forth with the port Pothia on the island of Kalymnos, there, every day, in each direction, three starts well spaced, more or less stalled on times Olympic Airways at the airport of Kos, Kalymnos because has no airport. The crossing takes about 20 minutes. Kali Kardia (the "Good Heart") is a large popular tavern, facing the port, sheltered from the wind. Menu from 10 € 12. Kali Kardia offers a wide range of specialties: fresh fish and shellfish, but also meat grilled lamb. Warm and good Greek music.